This reproduction disco shirt has a fun pattern. The coloring is not as vibrant as the photo indicates. The violet is a tad less bright, but pretty close. None of the blues are royal blue as in photo. The blues are paler. There is cornflower blue and light blue. There are a few black lines and purple lines, as well as yellow. 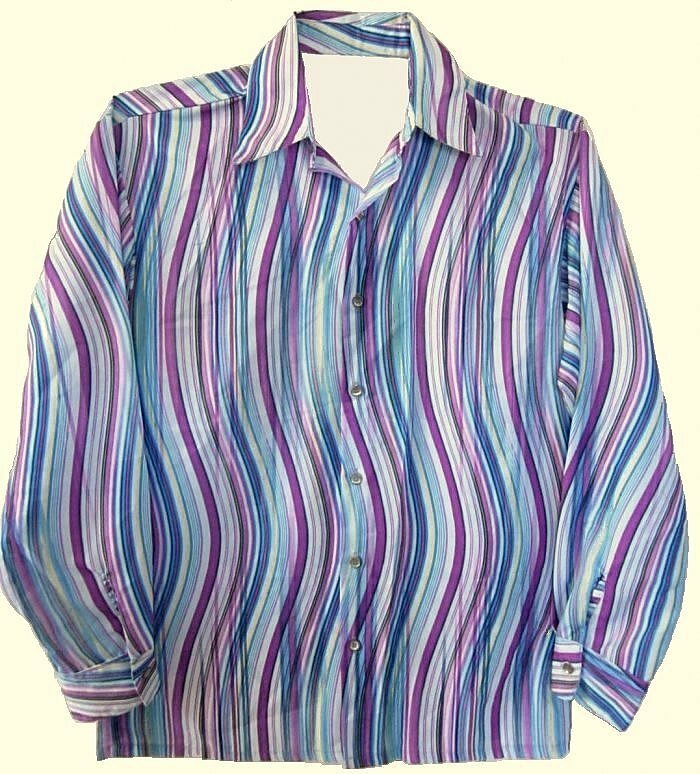 Wear with light blue, black, pink or purple pants. The shirt measures 43.5" around at armpit level for a loose 41 fit. The length is 31". Sleeve length is 32.5".